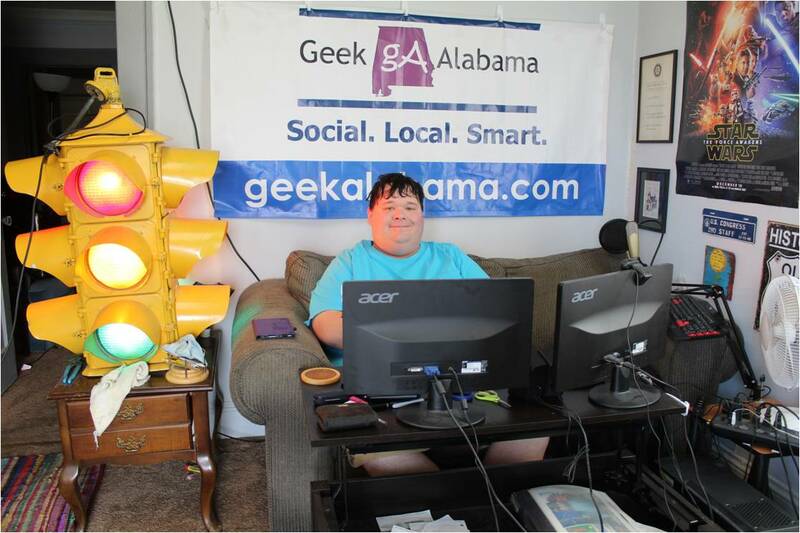 Here in Alabama and the southeast we are seeing some of the hottest temperatures in over 50 years! It got to the mid 100’s on Saturday and I fought this was a great time to try something frozen. You know everyone loves enjoying frozen treats in the summer heat. 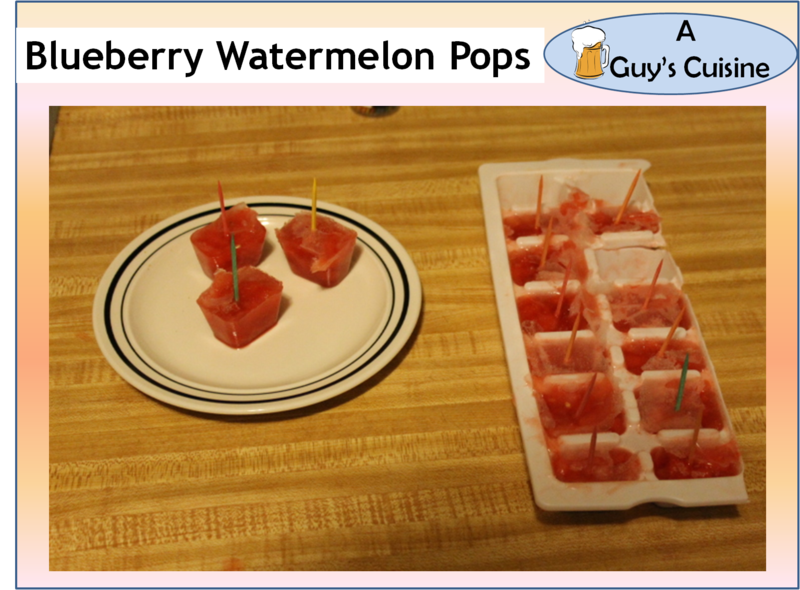 So I wanted to make something that involved watermelons since it’s the unofficial healthy food of the summer. I had to use juices since I did not have a blender. (someone please hire me already) But at the end I made something that is sweet and has a small sour kick. Enjoy making these! 1. Combine juices and honey in bowl. 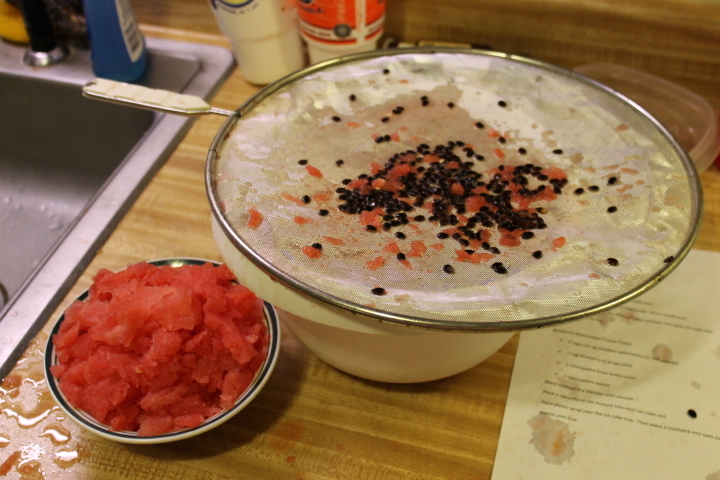 Then start cutting watermelon into small chunks. 2. Since I could not find a seedless watermelon. I had to use a screen to take the seeds out of the recipe. 3. I put in the watermelon chunks into the mixture. 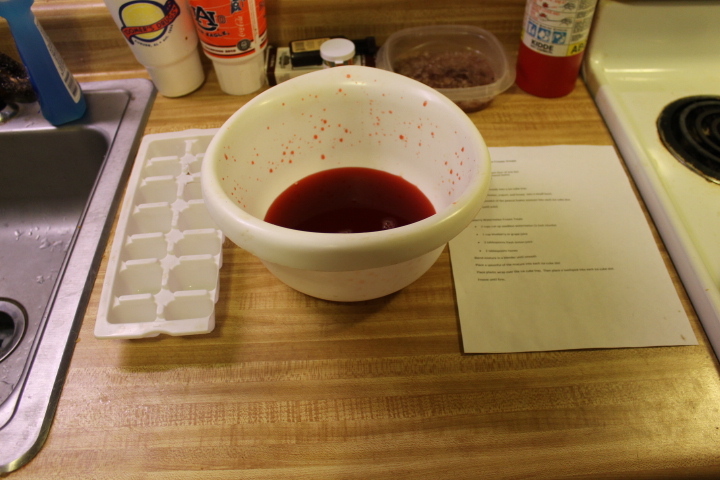 Then evenly spread the mixture into molds. I used an ice cube tray. 4. 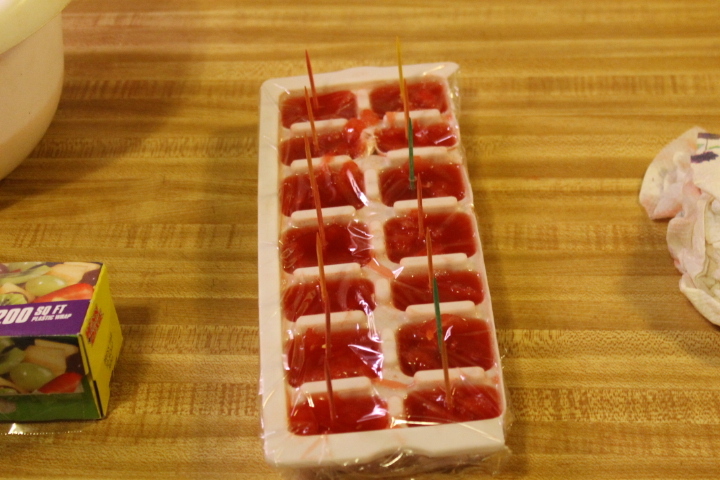 Put plastic wrap over the ice-cube tray. 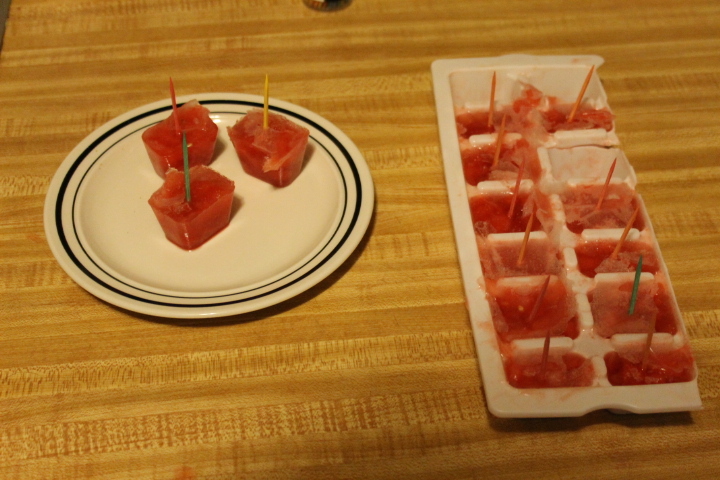 Then insert a toothpick into each ice-cube slot. 5. Freeze until hard then enjoy! 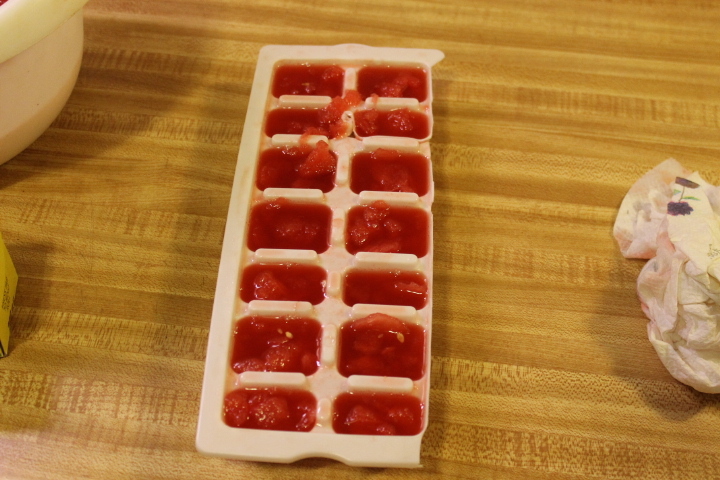 What I like about this recipe is in each ice-cube you get chunks of watermelon. And with these 100+ degree days these treats will satisfy anyone! For a twist; try these ice cubes in your favorite drink without the toothpicks to give it an extra kick. Now excuse me while I go bake cookies in my car.